If there was a turning point in the cord-cutting movement, remember this week. HBO announced it was launching a streaming service on Wednesday, attempting to attract those “cord-nevers”, the term thrown around for those who refuse or can’t afford to subscribe to cable or satellite. It was followed by CBS Corp.’s announcement Thursday morning of “CBS All-Access”, which is a new streaming service letting viewers stream CBS product and even their local CBS station. HBO did not announce what programming would be available to stream when the service launches in 2015, or how much would it cost. 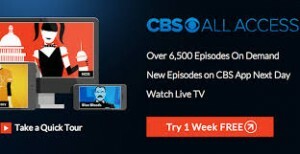 CBS All-Access also allows consumers in fourteen markets to stream their local CBS affiliate; so far, only markets where CBS owns a station can do so (including WBBM-TV in Chicago.) CBS-owned CW affiliates are not part of the deal (for now), and neither are the rights to certain sporting events, including the NFL. CBS plans to continue making recent episodes of current shows available to non-subscribers on CBS.com. and other partner sites. HBO and CBS are the latest media companies to make their material “over-the-top”, which means the companies can deliver their programming directly to viewers via the Internet – without the need of cable and satellite doing so. Earlier this year, World Wrestling Entertainment launched the WWE Network as an over-the-top Internet-only channel for $9.99 a month.